THIRD MIRA FESTIVAL – “WONDERS OF THE LANDSCAPE”. A CELEBRATION OF THE CULTURALHERITAGE AND LANDSCAP This cultural event takes place along the route starting from via Mondonego and leading to the church of San Sabino, climbing up to Mira Hill and then descending to Carromatto towards Torreglia, passing through the stalls of the local associations, artists musicians, activities and workshops ..
a loop down to the area called Carromatto towards Torreglia. The photo which receives the most "likes" will win a prize. Torreglia, at the Church of San Sabino. located next to the cemetery, next to Villa Verson). Award, at the church of San Sabino. Matteo Gervasi, in San Sabino's Church square. Ristoro Rustico around 12.00 noon. 11.00- Solemn Mass at the Church of San Sabino. Schools, entrance located next to the cemetery, by Villa Verson. Cesare Pollini of Padova, at Villa Rosa Prandstraller. Durante from Padova University, at the Church of San Sabino. Mira", at the Eremo San Luca, behind the Church of San Sabino. The third Mira Festival will take place from 29th to 31 May 2015. -Shuttle bus from Piazza Mercato with car parking available nearby. -Wine tasting hosted by Cantina Ca' Ferri, inside Villa Rosa/Prandstraller. - Inside Eremo di San Luca, sale and display of publications and books regarding the Euganean Hills. - Exhibition of works by local craftsmen, located on the left hand side of the Church of San Sabino. the Cultural Association “La Perla”. - Market Stalls of the local Associations open on SATURDAY from 15.00 until 21.00, and on SUNDAY from 10.00 until 19.30. -Euro/Taurilio currency exchange counter open on SATURDAY from 15.00 until 21.00 and on SUNDAY from 10.00 until 19.30. -Stand Rustico [ Rustic Stall ] open on SATURDAY from 15.00 until 21.30 and on SUNDAY from 11.00 until 21.00. The town of Torreglia is characterized by a mainly hilly country area and by a flat area. The oldest part of the village is the current "Torreglia Alta" (the upper part of the town) which has developed around the church of San Sabino, a place of worship which linked many foothill hamlets and villages. 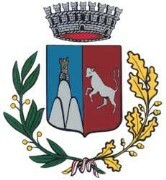 Only between the end of the nineteenth and the beginning of the twentieth century did the community settle in the plain area – towards Montegrotto – establishing the recent part of Torreglia. The etymological origin of the name “Torreglia” is based on two assumptions: some claim that it derives from "taurilia" (a fight between bulls which was organized by Antenor, the mythical founder of Padua in order to thank the gods), whereas others suggest "turricula" or "turrilia" which would refer to a small watchtower, probably the medieval one on the hill Mira, which later became the bell tower of the aforementioned church of San Sabino. The first community to settle in the territory was the Romans, who used the waters of the still visible spring Fonte Regina for the water supply of Montegrotto. Then, in the thirteenth century the Benedictine monks of Praglia restored this area by encouraging agriculture and the population of the territory. In the Middle Ages, the area was subjected to the jurisdiction of some noble and powerful families, first the Transelgardi and later the Da Lozzo. In the fifteenth-sixteenth century, under the rule of the Venetian Republic, some sumptuous patrician villas were built in the area, among which Villa Dei Vescovi (design by Falconetto) in the hamlet of Luvigliano, Villa Gussoni Verson and Villa Tolomei (Mirabello), embellished in the nineteenth century by a park designed by Jappelli. Later, Villa Ferri-Salata, Villa Pollini, Villa Maluta (Assunta) and Villa Medin (Immacolata) were built nearby. In 1339, the hermitage, still existing on Mount Rua, was built thanks to the aid of the local population: the complex, characterized by the houses of the monks gathered around the Church of the Annunziata, was rebuilt in 1537 by the Camaldolese friars of Santa Corona. In addition, the church of San Martino and Villa dei Vescovi – now owned by the FAI – are still interesting places to see in Luvigliano. Castelletto and the Roccolo Pass are other places worthy to be visited. The famous scholar and Latinist Jacopo Facciolati (1682-1769) was born in Torreglia and some other famous people stayed there, attracted by the salubrious climate and the beauty of the landscape, such as the Abbot Giuseppe Barbieri (1774-1852), the linguist Niccolò Tommaseo (1802-1874) and the composer Cesare Pollini (1858-1912). In 1911, following a great increase in tourism to the Euganean Hills, the first electronic tram connecting Torreglia with Padua was established and in 1913 the first stone of the new church of the Sacred Heart was laid. For lovers of food and wine, Torreglia offers numerous renowned restaurants and taverns where you can taste the traditional dish par excellence, the Torresano (tower pigeon). It is also recommended to try the excellent local wines and the "maraschino", a typical liquor made from morello cherries, produced by the company Luxardo.